Coun Chris Williams, Paula Madden (Meriden Adventure Playground), Coun Mark Wilson, Marcus Brain (Labour candidate for Kingshurst and Fordbridge and CAB trustee) and Coun Jean Hamilton. Picture by Coun Chris Williams. 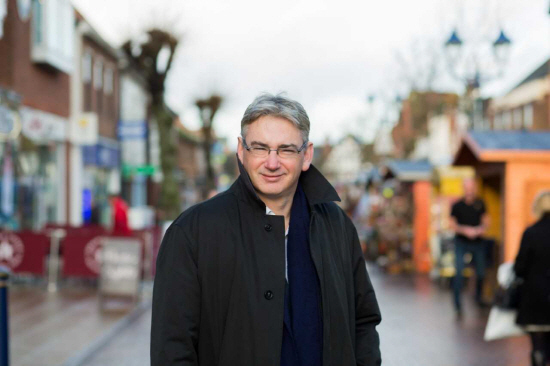 SOLIHULL Conservative MP Julian Knight has called for the council to ‘ensure the survival’ of Citizens Advice in the borough. Mr Knight has outlined his concerns in a letter to his Conservative colleagues at the council after they axed funding to Citizens Advice Solihull Borough (CASB) after decades of support, as we exclusively revealed last month. An emergency meeting to debate the loss of its highly respected services is being sought by opposition party chiefs. And now Mr Knight has joined them, saying to the Conservative-controlled council: “It is not just opposition parties. “I have written to the council leadership making it clear the potentially damaging impact of removing 60 per cent of CAB’s funding. Last week, Liberal Democrat councillor Ade Adeyemo, Green Party councillor Tim Hodgson and Labour councillor David Cole sent a joint letter to council chief executive Nick Page. It calls for an urgent meeting to discuss a string of questions which councillors feel have not yet been answered. The questions tabled focus on issues such as the safeguarding of CASB’s volunteers, the replacement of its knowledge and expertise and the details of the transfer to Age UK in April. After its funding was scrapped, CASB’s town centre service at The Core in Theatre Square is expected to be closed by March 31, after an eviction notice has been issued at the council-owned premises. Only a much reduced service at its Chelmsley Wood branch on Bosworth Drive will remain. CASB supports nearly 6,000 people a year – offering help and advice on matters including debt, benefits, housing and tax. Citizens Advice is a UK-wide service giving free, confidential legal and practical advice on social and financial issues. CASB says the decision to wipe out its council funding of more than £200,000 – two thirds of its total income – was taken in the run-up to Christmas when its services were heavily oversubscribed. Solihull Council insists a new provider, Age UK, will offer an improved service in the place of CASB, which was outbid for the contract. But campaigners say CASB this claim has a proven track record for helping the borough’s vulnerable, and its expert services cannot be replicated. 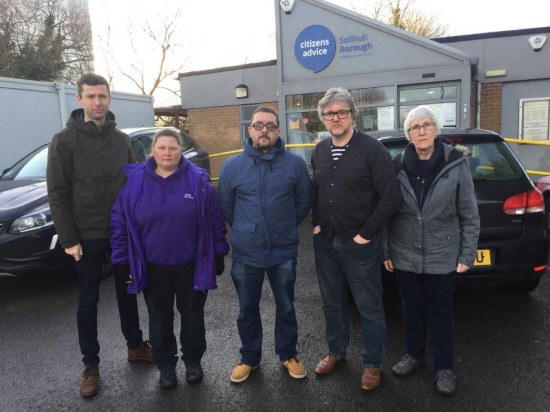 The Solihull and Meriden Liberal Democrats have started a petition calling on the council to explore the possibility of providing assistance to CASB to help retain its services. It has already gained 487 signatures. The council claims the funding changes will streamline advice services and make them more efficient, cutting out duplication from different providers – and will include a new outreach service. The new services will be on offer at the council’s advice hub in the Core and Chelmsley Wood library.